Vintage Womens Coats from every era and every fashion trend from the 30s, 40s and 50s through to the present day. Long short, thick and thin, it’s your coat, your story so make it happen and shop for that perfect vintage Womens coat. And a coat can speak a thousand words, for it can be as dramatic or as subtle as you like. It can tell a tale or give an air of mystique. It can keep you interesting as well as keep you warm, elegant as well as dry. Coats have always been the finishing touch to any outfit and they go back a long way. No longer a functional garment, the coat was and still is, a fashion statement, a statement that says so much about the wearer. Whether you prefer full on glamour, or plain and understated chic with clear lines, the coat you wear says so much about you. We have a great variety of vintage Womens coats here at Blue17, from every decade and all in excellent condition. From faux fur to wool, from bright colours to subtle dark and muted shades, you’re more than likely to find the vintage coat that’s right for you. 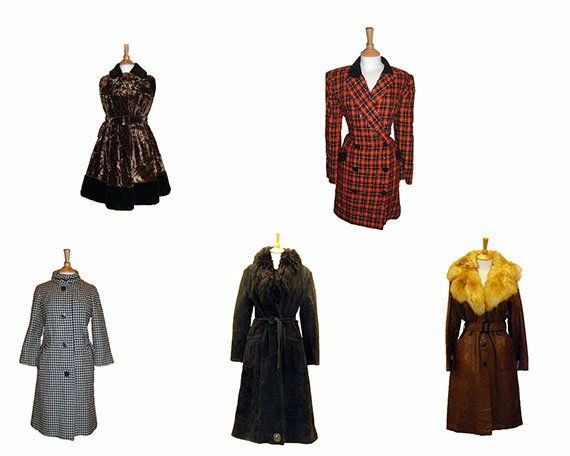 Whether it’s for a themed party, or for an era you love to emulate on a daily basis, with our variety of Womens vintage coats you are bound to find something that fits the bill. You can look at leisure, there’s no pressure to buy, we pride ourselves on a relaxed atmosphere and providing great customer service to all our customers. Come in and browse, we’ve got the Women’s vintage coat for you – it’s waiting for you, it’s hanging on a rail…waiting.